NIT Partners provide our companies with a suite of resources and contributed service capital for broad, cross-functional capabilities to accelerate and shepherd development. The Ohio State University has partnered with NIT to make available both capital broad service contributions and commitments to make accessible the University’s significant breadth of resources to facilitate NIT Company development. OSU, right across the street from NIT, ranked as Ohio’s top public university, one of the nation’s top-20 public universities, and one of only 15 universities nationwide with a medical school, veterinary school, and biomedical engineering department on the same campus, offers comprehensive, enabling resources. Learn more about the range of resources here. The Ohio Development Services Agency is a State agency committed to economic development, and sponsor of the Ohio Third Frontier Program. The Ohio Third Frontier Program is a $2.1 billion initiative begun in 2002, focused on the creation of an "innovation ecosystem" that supports the efficient and seamless transition of great ideas from the laboratory to the marketplace. The nationally recognized initiative supports businesses and entrepreneurs with a statewide network of resources. This network provides access to business assistance, capital and talent to help turn great ideas into thriving companies providing well-paying jobs. The State of Ohio’s commitment to the goal of global leadership in neurotechnology is evidenced by the $21M Ohio Development Agency’s Third Frontier Grant award directed to NIT, which has provided a vital spark to initiate NIT, and to augment the already established statewide infrastructure in neurotechnology and position the State for leadership in the sector. Medtronic, headquartered in Minneapolis, MN, is the world’s largest medical technology company and a leader in the neurotechnology industry with more than 400,000 implanted Neuromodulation devices and Neuromodulation revenues exceeding $2.0 B annually. As a Partner with NIT, Medtronic provides invaluable neurotechnology industry expertise, capital for investment in NIT companies, as well as a prospective resource for technology provision to NIT Companies. Cardinal Health, headquartered in Dublin, Ohio, is a $103 B health care services company that supports pharmacies, hospitals, ambulatory surgery centers, and physician offices, providing pharmaceuticals and medical products to more than 60,000 locations daily. The company is a leading manufacturer of medical and surgical products, and supports the growing diagnostic industry by operating the nation's largest network of radiopharmacies. Cardinal is a fully-integrated manufacturing, sourcing, and supply-chain company. As an NIT Partner, Cardinal provides industry expertise, capital for investment in NIT companies, as well as a prospective resource to facilitate manufacturing and commercialization of NIT companies. Battelle is the world’s largest independent R&D organization, conducting $6.5 B in global R&D efforts annually. Battelle's Health and Life Sciences Group has developed innovations supporting the creation of over 250 medical devices that have improved human health. Battelle scientists and engineers, in collaboration with the OSU Center for Neuromodulation, are actively developing nervous system signal detection, closed-loop neuromodulation applications, and neuromodulation solutions for various conditions. As a partner with NIT, Battelle has contributed office space (just across the street from OSU’s Center for Neuromodulation), investment capital and service commitments for its distinguished staff of experts and development capabilities. 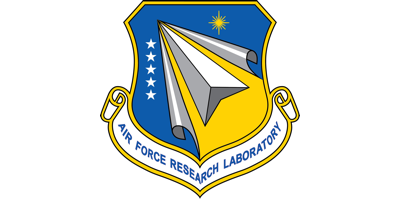 The Air Force Research Laboratory in Dayton, Ohio, has developed world-class expertise in neural sensors, neural analytics and closed loop data processing, and external neuromodulation, including transcranial direct current stimulation (tDCS) and transcranial magnetic stimulation (TMS) to augment human performance. As a partner with NIT, AFRL has both committed capital and enabled access to its distinguished staff of experts and advanced technological capability to support NIT Companies' development. NAMSA, in Northwood, Ohio, is a comprehensive medical research organization providing expert regulatory, laboratory, clinical, and compliance services to medical device and healthcare product manufacturers. As a Partner with NIT, NAMSA has committed capital and enabled access to its distinguished staff of experts to facilitate NIT Company development, including: regulatory and quality systems services and expertise across global markets, development personnel, specialized equipment access and expert guidance to NIT companies across each stage of product development, and post-market commercial surveillance. MetroHealth an affiliate of Case Western Reserve University School of Medicine in Cleveland, Ohio, is a center for medical research and education, with 400 physicians serving over 28,000 inpatients and 900,000 outpatients each year. Metro Health has been involved in neurotechnology related research and development for motor disorders and spinal cord injury for decades, and boasts nationally recognized experts in spinal and peripheral nerve surgery. As a Partner to NIT, Metro Health has committed capital to support NIT Companies' clinical trial activities. Summa clinicians are nationally-recognized experts in chronic pain management and neuromodulation. As a Partner with NIT, Summa has committed capital and enabled access to its distinguished staff of experts to facilitate NIT Company development and innovation, and to support NIT Companies' clinical trials. Wright State University (WSU) in Dayton, Ohio, boasts 20 neuroscience faculty engaged in research on nerve damage, chronic pain, and stroke. As a Partner to NIT, WSU has committed capital and enabled access to its distinguished staff of experts in neuromodulation development for recovery from nerve damage and stroke and chronic pain, including access to its full suite of pre-clinical and prototype device development resources. Advratech, a business affiliate of Wright State University, has committed capital alongside WSU’s efforts in facilitating NIT Company development. Huntington Bank, a full-service banking provider headquartered in Ohio, focuses on deep relationship-building to best meet each customer’s specific needs. As a Partner with NIT, Huntington has contributed banking support and services to NIT, as well as a prospective resources for both business and private banking services for NIT Companies and their employees. Wilson Sonsini Goodrich & Rosati is the premier legal advisor to technology, life sciences, and other growth enterprises worldwide. They represent companies at every stage of development, from entrepreneurial start-ups to multibillion-dollar global corporations, as well as the venture firms, private equity firms, and investment banks that finance and advise them. WSGR provides counsel to NIT and its companies on a range of legal and business matters. In collaboration with NIT, nine distinguished Venture Capital firms from Silicon Valley to the Midwest and East Coast, representing investors targeting all stages of company development, serve as advisors to NIT as part of its Venture Advisory Board, as well as Partners for prospective investment in NIT Companies. For a list of NIT's Venture Capital Partners, please click here.